Rates as low at $15 a day for long-term rentals. Most people do 2 day rental and have delivered 1 day and ship back the next day - Tech-Go will waive shipping days for this situation). If you order more than a week in advance, shipping for projector is $25 each way. 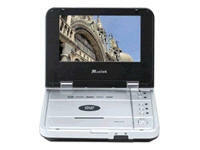 Promotion: we max out rental of projectors for 2 day rate and you pay $0 rental for all shipping days out and back! Tech-Go SVGA portable projector - (Great for presentations or parties) packs an impressive 1500 lumens in just 6 pounds. This full-featured projector is light, bright and affordable without compromising on quality. With its DLP technology, a contrast ratio of 2000:1 and native SVGA 800x600 resolution, you'll be impressed by the rich, saturated colors and crystal-clear images. Support of worldwide video signal standards (PAL, SECAM and NTSC) and HDTV plus digital keystone correction and various video inputs provide exceptional versatility. This projector is the perfect choice for professionals, classroom applications and home users who have a tight budget and expect a versatile and solid projector for data and also video applications. Tech-Go XGA portable projector packs an impressive 2100 lumens in just 4.6 pounds. This high-end projector has enough brightness and clarity for large presentations. The Tech-Go 75 inch Tripod Screen gives the presenter a professional solution for any projection application or situation. 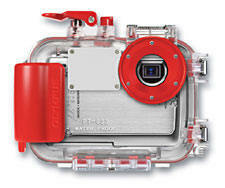 It incorporates a roller system that prevents the screen from being accidentally pulled from the roller. 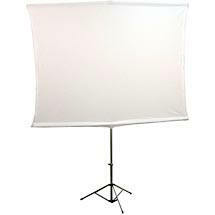 Rent a high quality professional tripod screen that is able to withstand daily usage. Heavy-duty aluminum extruded legs with toe release mechanism offer a wide stance for stability. Built-in fabric lock secures screen fabric during transport and use to prevent shifting. 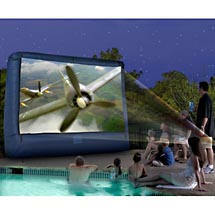 Tech-Go Inflatable Movie Screen. 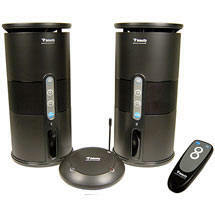 Bring all your favorite movies to the BIG screen without the hassle of conventional screens. The Tech-Go Inflatable Movie Screen lifts straight out of its durable bag and in minutes, it's ready to show movies, TV shows, video presentations and more. No more fumbling with heavy parts. The Movie Screen is convenient, portable, and simple. Storage is a snap with the durable storage bag.